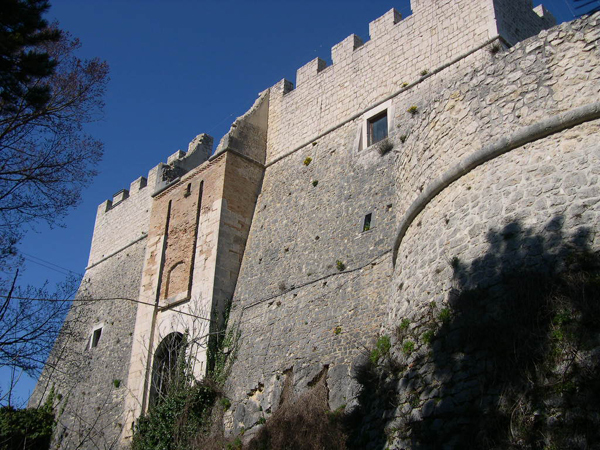 Notes: Castello Monforte was built in 1450 by the local ruler Nicola II Monforte, over Lombard or Norman ruins. The castle has Guelph merlons and stands on a commanding point, where traces of ancient settlements (including Samnite walls) have been found. The current construction is the result of later rebuilding after the earthquakes of 1456 and 1805.